You can geo-block media associated with a channel so that it appears only for certain countries. 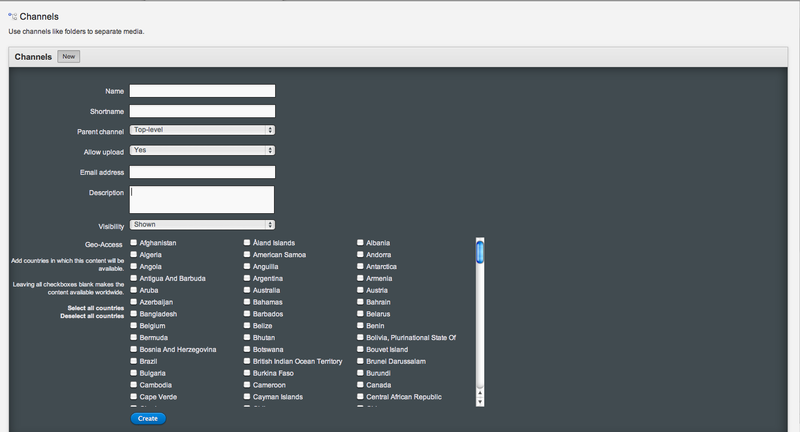 For pre-existing channels, select the desired channel and click "edit countries"
If geo-blocking an application, see the relevant components doc for details on how to edit app templates. Be the first to comment on Geo-Blocking Content.